Nearly every business needs envelopes, but they’re not something that you often put a lot of thought into. Chances are, you just want something that gets the job done at an affordable price. Trust the Packaging Company to make that happen for you. With years of experience in delivering packaging solutions, we have the right products that meet your needs. Trust us to deliver. Self-sealing Ship-Lite® envelopes are strong, moisture resistant, easy to use, and quickly form a permanent seal so you know your shipment is safe. You’ll save money, avoid hassle, and protect your valuable shipments. We stock a variety of Ship-Lite® envelopes in different sizes, including expandable options, so you’re certain to find the product that is right for you. At the Packaging Company, we pride ourselves on delivering high-quality products at great prices. Plus, we place a special focus on customer service. We know how important it is to form a strong bond with our customers, and to be available to answer questions and speak with you when you need us. If you have any questions about any of our products, or if you’re looking for a shipping or packaging solution and you’re not entirely sure what you need, please contact us today. We’ll be more than happy to speak with you and assist you in any way you can. 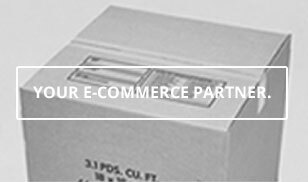 Whether you need envelopes or any other packaging or shipping solutions, we’re the right place to check out. We know how critical it is to have your shipments arrive at their destination in the same state you shipped them in. That’s why we offer durable products that can withstand the often-rough shipping process. You don’t want to deal with the hassle, expense, and embarrassment of having your package damaged in transport. Contact us today for more information. We’re here for you.